AMC has published both a next-episode promo and a sneak peek clip from this Sunday’s upcoming Fear The Walking Dead episode, “Do Not Disturb.” The good news: It looks like we will finally see what Travis has been up to. The better news: there is barely any Nick in this preview! 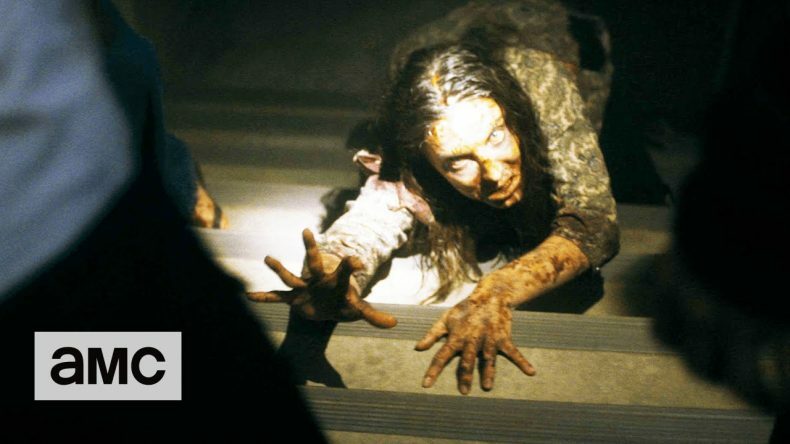 As for Alicia, trapped upstairs and penned in by zombies, she’s got her work cut out for her. She’s figured out the head-stabbing trick, but is it enough to save her — and possibly find Ofelia? These look like some of the tensest scenes the spinoff has brought us to date. The sneak peek explains how she gets into the elevator predicament…. “Do Not Disturb” airs this Sunday at 9 on AMC.